Invited by the School of Design and Arts, members of the American Hardwood Export Council (AHEC) Greater China Office, Visiting Professor Mr Patrick Fong (Hong Kong) and famous designer & TV presenter Ms Amy Devers (USA) organized a talk with the theme of American Hardwood Export Council (AHEC) Greater China (GRCH) Furniture Design Competition 2011 on April 12, 2012. 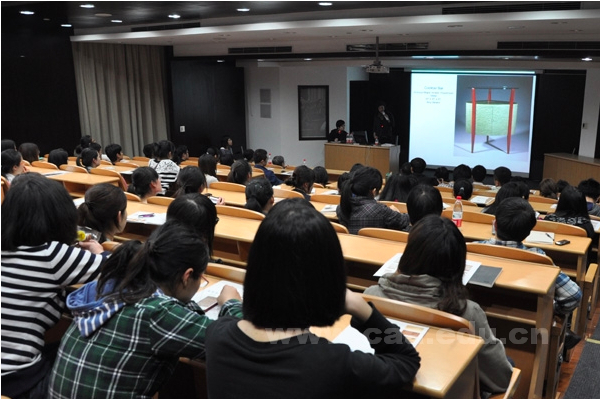 The response of the teachers and students of the School of Design and Arts were enthusiastic. 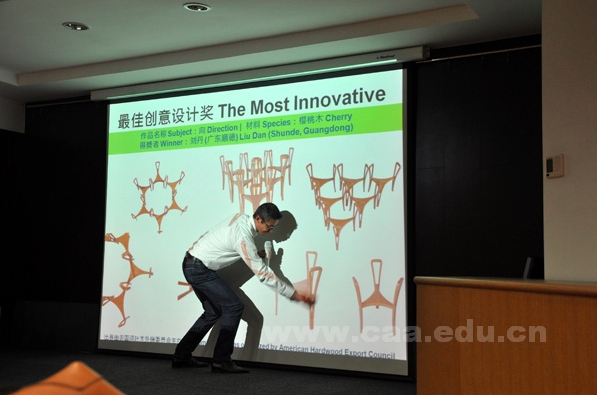 The talk received many positive comments and it was officiated by Mr Huang Binbin, teacher of the Department of Comprehensive Design. After the lecture, professional teachers of the School of Design and Arts communicated and shared ideas with Ms Amy Devers and Mr Patrick Fong which help to build up a foundation for further exchanges and cooperation in the future.